Didn’t have time to keep up with pop culture news this week? No worries. Watch my quick slideshow and you’ll be up to date in no time. Love this feature. Fell all caught up! Thanks, PCN! Are you going to make this a regular feature? I’d be happy if you did. This was great because I had only heard a few of these. I like-y! Thanks for the updates….AND THE HORROR!! Why mess with Butch Cassidy and the Sundance Kid?!?! WTF!??!?! Very cool, PCN! Love it. P.S. If anyone can remake MY FAIR LADY, I’d trust Emma to do it! I’m with Reader #9, you simply can’t redo Butch Cassidy anymore than those crazy folks could redo THE GREAT GATSBY awhile back. That’s pure insanity. I love your photo montages. They are the best. And off subject, but I’m really wanting to see the TNT series that’s based on Tess Gerritsen’s books. For one thing I love Sasha Alexander. They better put those on DVD since I can’t watch ’em first hand!! Sorry, I mention that because I’ve heard about it several times recently…. That was great! But a sequel to ‘Butch Cassidy and the Sundance Kid’? I don’t know. It’s one of my absolute favorites; saw it 13 times. Ok, so am a sap for a good western. Anyway, thanks for the catchup, Elyse! Brett—Thanks! Less time to get caught up, more time for you to write. EIREGO—If enough people enjoy it, maybe I will make it a regular feature. Glad you like! Reader#9—Your confusion is justified and shared by me. Christine—Agreed. When I first heard the news, I thought, “NO!” Then I heard Emma’s writing it and decided to keep an open mind. BTW, don’t think I didn’t notice you padding your number of comments by adding the P.S. Only 3 more days ’til end of month—I don’t think anyone will be able to catch you! Jen—I’m so glad you like the slideshows. Will try to incorporate them into posts more often. 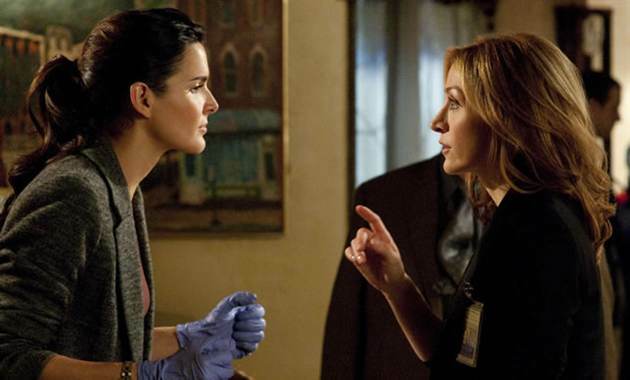 I don’t read the Rizzoli books but am interested in the show because I like Angie Harmon (here‘s a picture of her and Alexander in character). It’s slated to premiere July 12th; maybe it’ll be on DVD by year’s end. Donna—Wow, 13 times? Is that the record for you? The movies I’ve seen most often are Love Story and Star Wars, though I don’t remember how many times exactly for each (somewhere between 20 and 40). Everyone should have more time to work on their nerd cred! I agree Heigl is fetching as a brunette. She does look like Ashley Judd!